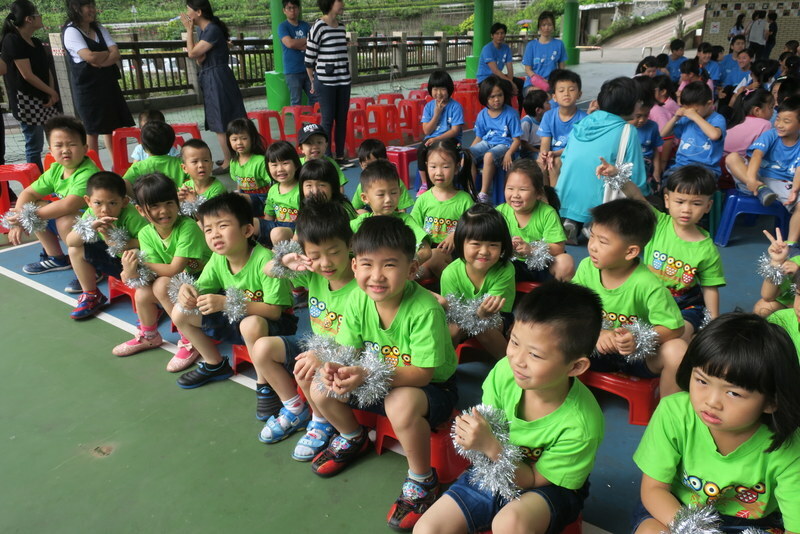 Laomei Elementary School 老梅國小 celebrates 117 years! 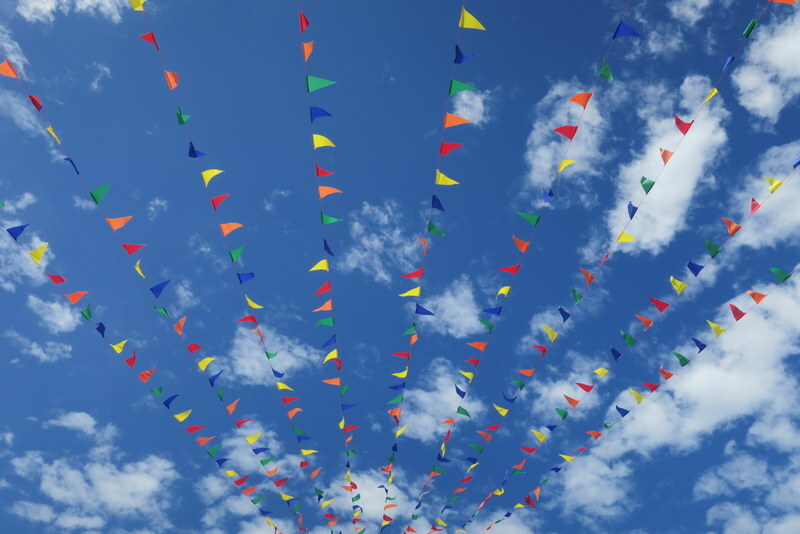 Every school in Taiwan has an annual school celebration, with a mixture of performances, bazaar, fiesta, fayre and reunion for old school friends all rolled into one. Lots of VIP visitors from the local community, and principals from other local schools come and bring their congratulations too. 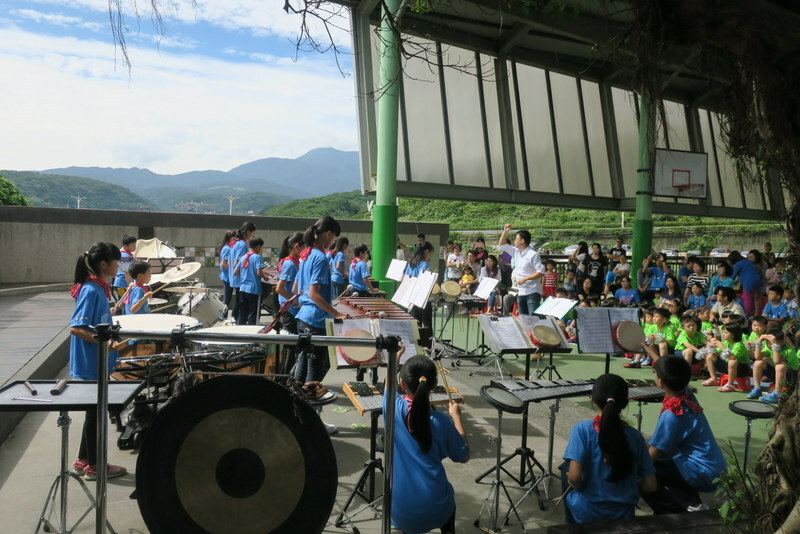 On Saturday, LaoMei Elementary School, in Shimen Township on Taiwan’s northern tip, had their 117th birthday celebration, and invited me to go! 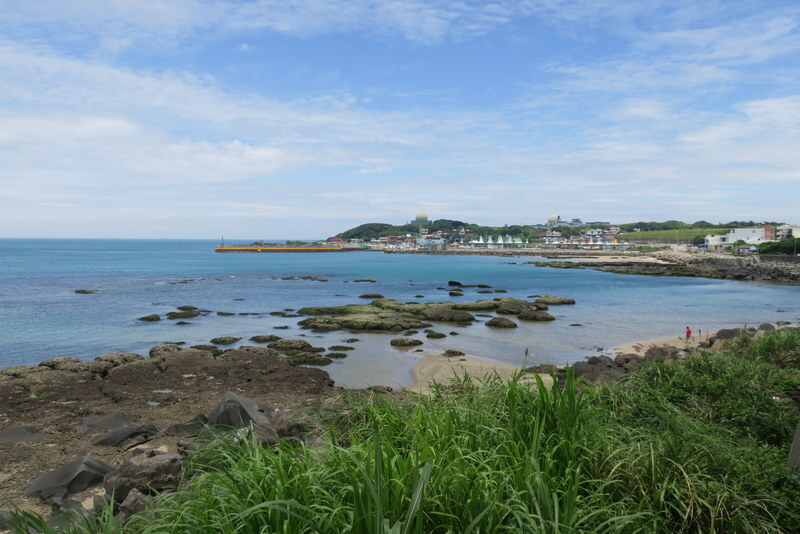 This is LaoMei Village, nestling down there by the seashore…. I’ve been going there about once a month to help the children a little with their English. 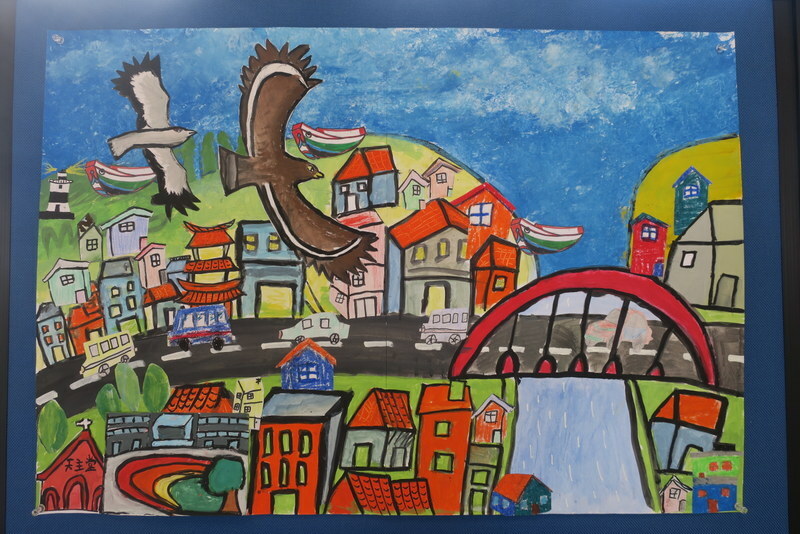 A few weeks ago our classes were on the theme of ‘Family Tree’, and at the end of March, we celebrated Children’s Day (see that blog post here). Usually it rains. Yes, sadly, it’s wet wet wet! So we were a bit worried about what would happen on Saturday. Specially seeing as the plum rains have started, and it’s been raining in bursts all week. Actually at 5:00 am on Saturday morning it was raining, and looked as if it would be terrible weather. But hey presto, the rain cleared up, the sun came out, blue skies appeared and by mid-morning, it looked like this! We started the celebration with 3 performances from the children, all the kindergarten, the African Drumming Band and the Percussion Group. Amazing talent! And check out the view at the back! 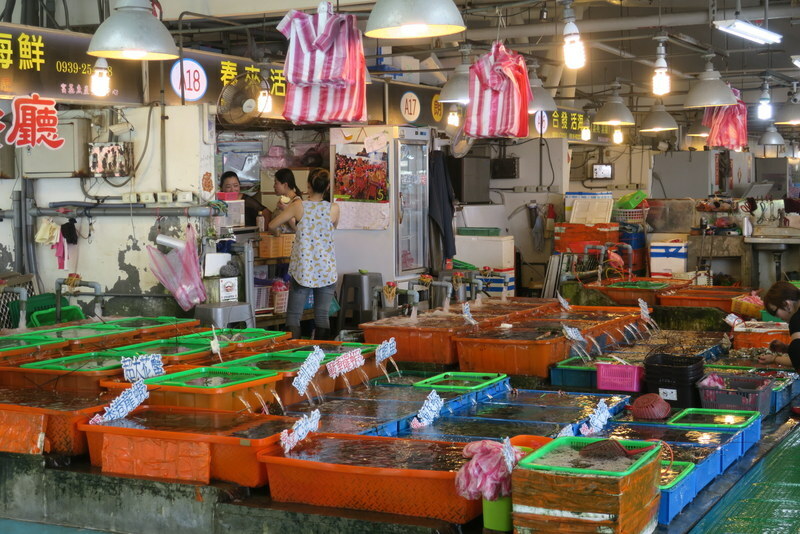 There’s 88 children in the school, plus another 27 in the kindergarten. That’s 115 in total. Add in the principal and head of parents committee and you have 117! Yes, that’s the age of the school, founded in 1900. After the performances and speeches we went to the library for an introduction to an amazing storybook project that the school has been doing in cooperation with one of the education colleges. They’ve produced 3 huge huge story books, filled with pictures and words telling stories about LaoMei. Really great. And all published as real books no less. One of the books contains an illustrated map of LaoMei, done by one of the children. It is so true to life! I love it! There’s even the R.C. Church in the bottom left corner – it no longer serves as a church since all the church members who were in the military dependents village nearby have moved away ~ but the building is let to Ms. Cheng who runs after-school classes for the children, and that’s how we came to be connected with LaoMei. 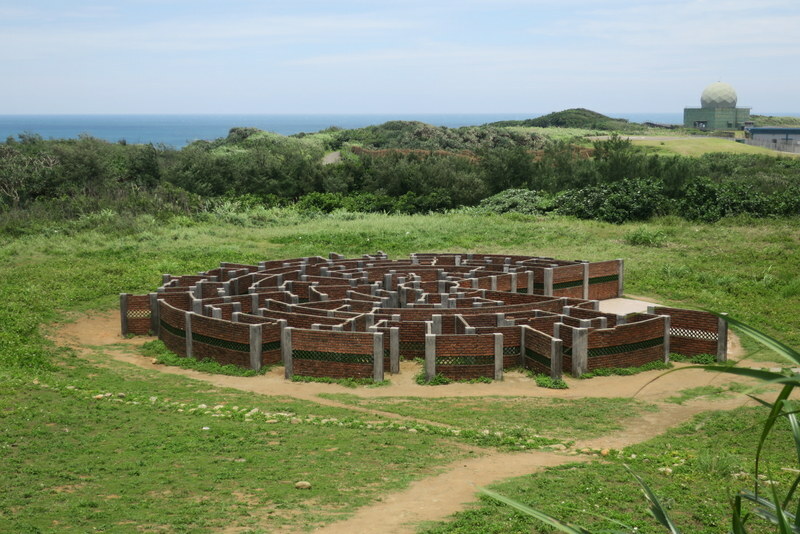 After eating my fill of goodies made and sold by the children, off I went to find the LaoMei Maze. 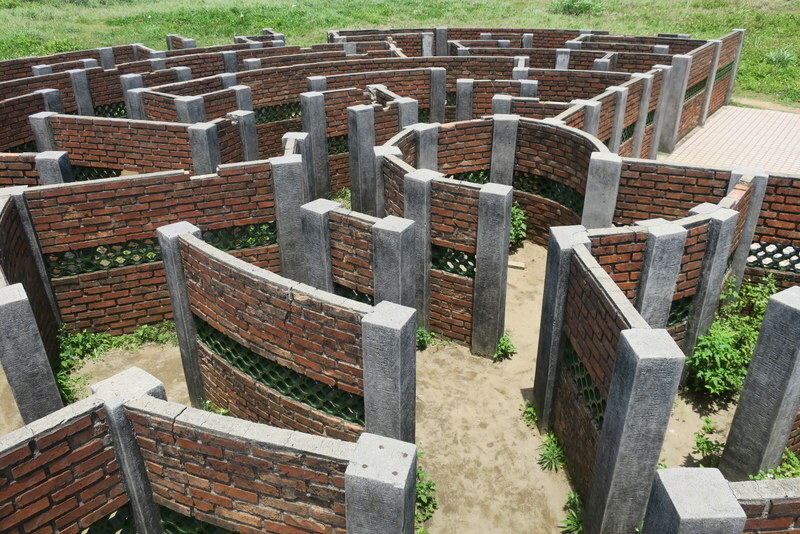 Ah yes, the LaoMei Maze. 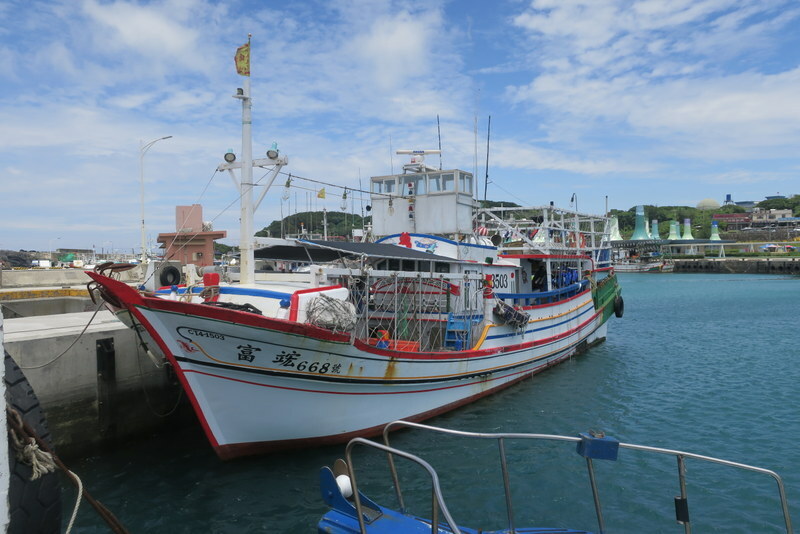 It even has its own Google Maps Location, and is a famous landmark, although it is nearer to the army camp at Fugui Cape Lighthouse and Fuji Village than to LaoMei. And not easy to find! Not quite sure why it’s there, and it’s falling down bit by bit. Until last year, the lighthouse wasn’t even open to the public, so nobody came here anyway. Even now, there’s no signs to it, and it’s hard to take a picture of it without taking the whole army camp too. But it’s fun all the same! 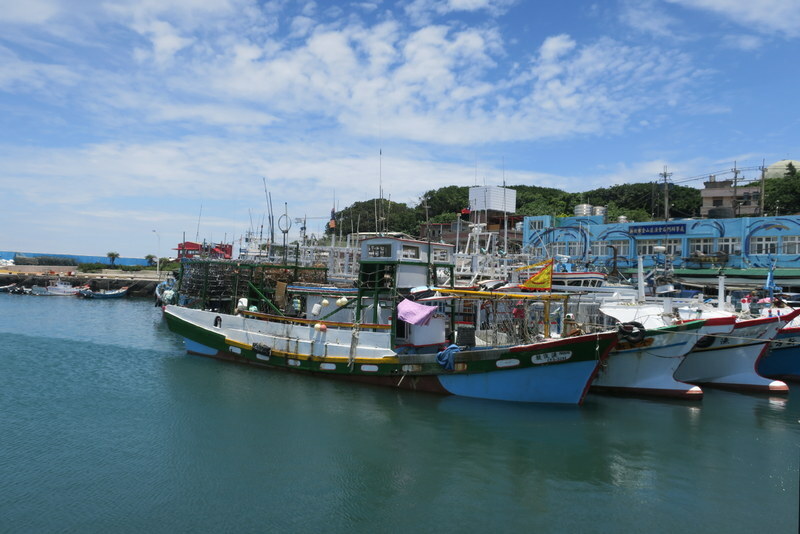 The boats unload their catch directly for the restaurants in the village to make the most of it all, and people come by the coachload for fresh seafood…. 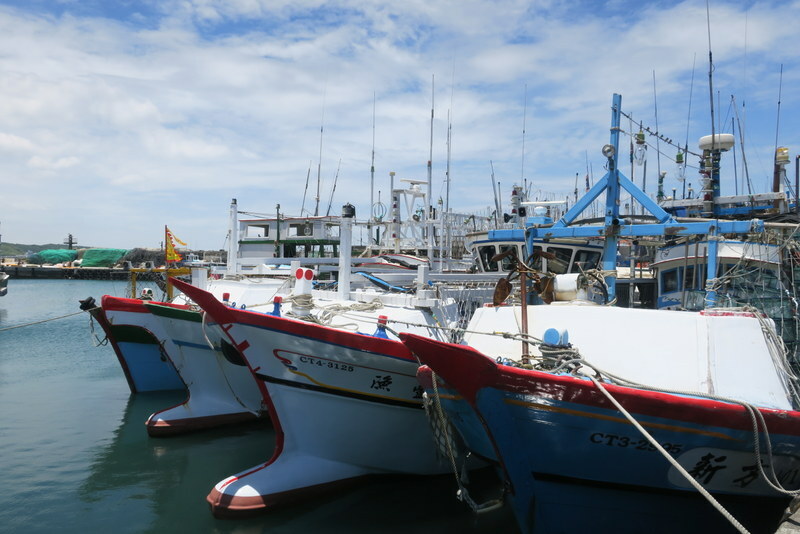 At midday, the boats are resting…. 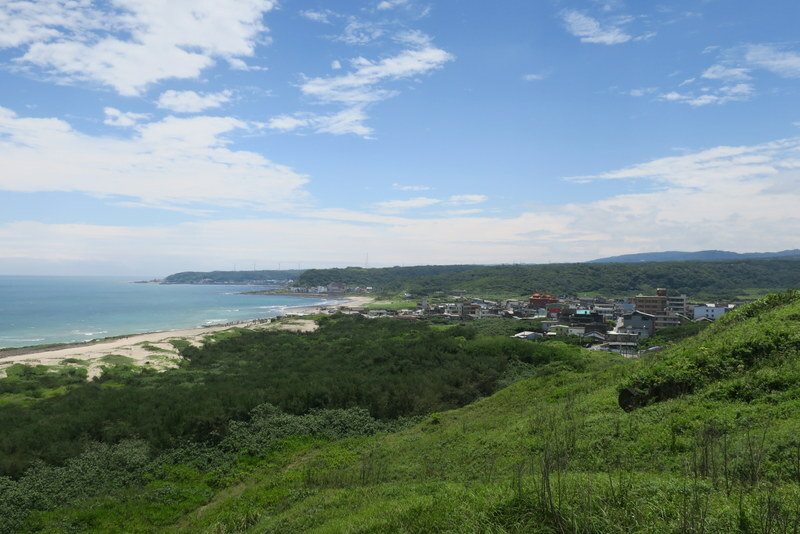 This is the view looking back, on my way to the main road…. 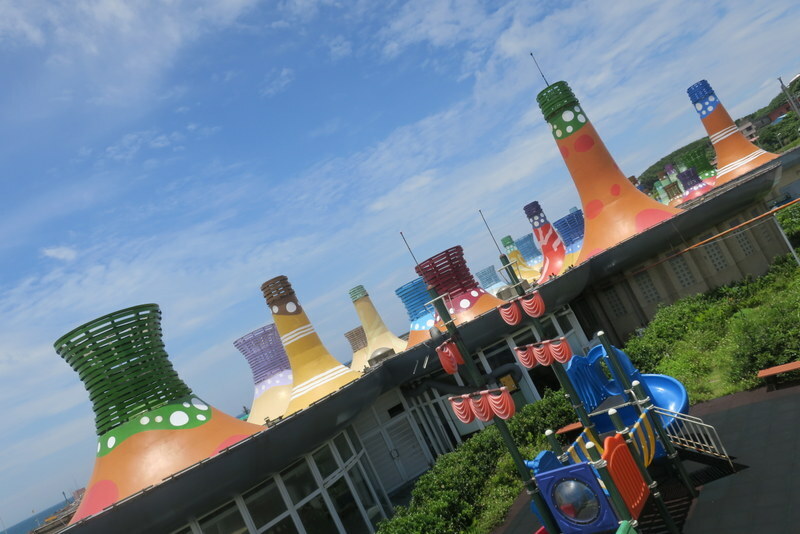 Ah, yes the northern tip of Taiwan, and LaoMei Elementary School ~ a great place!